The Blackhawks announced that captain Jonathan Toews will miss the rest of the regular season with a shoulder injury. The team expects Toews to return and be 100 percent for the playoffs which begin in two weeks. Toews suffered the injury after he took a hit to his upper-body by Penguins defenseman Brooks Orpik on Sunday. 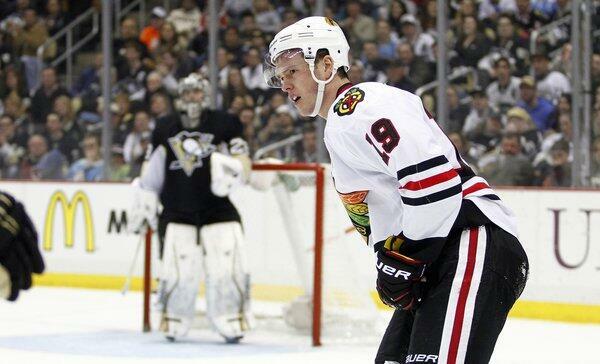 After the hit, Toews got up slowly holding his shoulder and was taken to the dressing room. The Blackhawks have already clinched a playoff spot and are likely set for a first round match-up with the Colorado Avalanche as the number three seed. The team will get Toews and Kane back healthy for another Stanley Cup run. Forward Joakim Nordstrom has been recalled from Rockford to fill the roster.